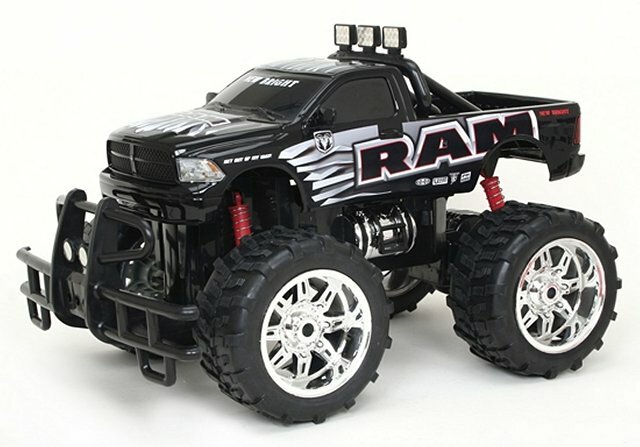 New Bright Dodge Ram • 1/10 Scale • (Radio Controlled Model Archive) • RCScrapyard. Introduced by New Bright circa 2012, the Dodge Ram was based on a molded plastic chassis with coil spring dampers and came RTR with a speed controller, motor, battery, charger and radio system. To race the New Bright Dodge Ram, it calls for fine tuning to attain better steering response and improve grip when cornering so you don't slide off the side of the track. Minute changes can make huge advancements. Our easy to understand list will show you how and lead you to the optimum Set-up to put you in front of the rest on the track.